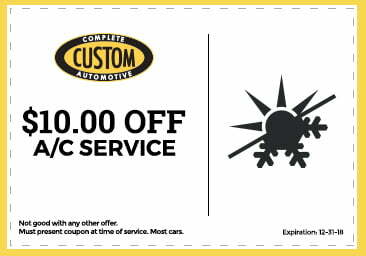 Have A Starbucks Coffee On Us With Your Oil Change! 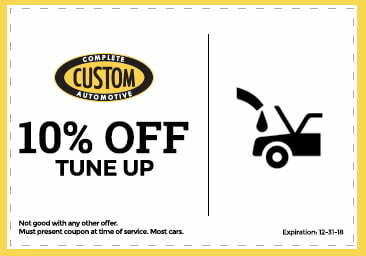 It is recommended that you get your oil changed every three months or 3,000 miles to maintain your vehicle’s health. Your owner’s manual can give you more specific recommendations. 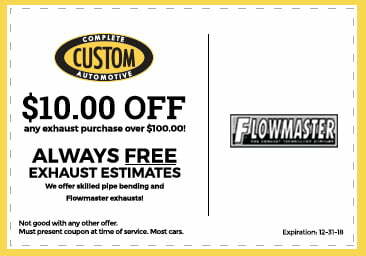 With our Columbia MO oil change, we also check your air filter, lubricate all fittings, check your engine for leaks, check your belts and hoses, check your tire pressure, check the entire undercarriage, and check and top off all fluids under the hood (including transmission, brake, coolant, power steering, and wiper fluid). This comprehensive preventative plan is sure to maintain your safety and extend the life of your vehicle! 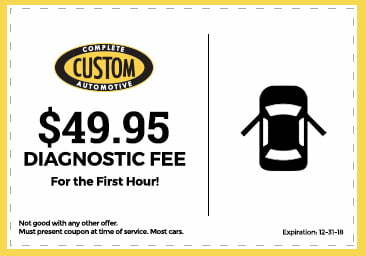 Need to schedule an oil change today? 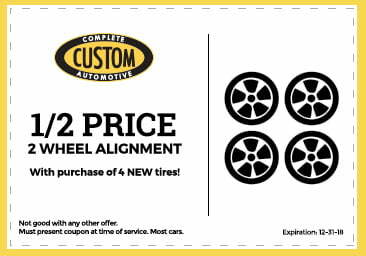 Call Custom Complete Automotive serving all of Columbia, MO. Oil changes are one of the most important parts of auto maintenance. Oil changes ensure that your car runs smoother, stays cooler, and minimizes wear between parts. 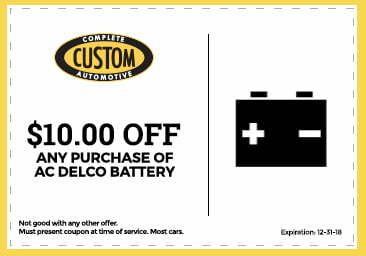 Regular oil changes also help with your car’s fuel economy. By eliminating wear, rust, and corrosion, oil changes can help you protect your engine. Another benefit of an oil change is that by bringing in your car regularly for maintenance, you can have peace of mind knowing that we will catch and fix any minor issues before they become costly repairs in the future. 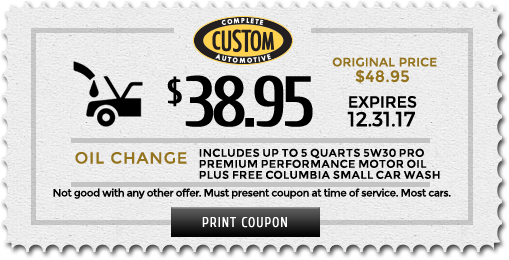 We provide oil changes in Jefferson City, St. Louis, and Columbia, MO. As part of a Custom Complete Automotive oil change, our customers receive 5 quarts of quality oil, a new oil filter, and lubrication of chassis components. Keep your car in peak performance! 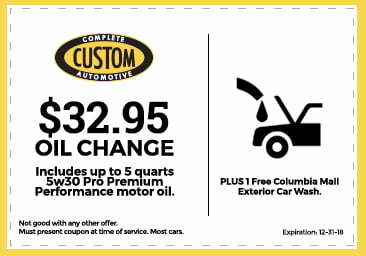 Call our Columbia, MO oil change shop today! 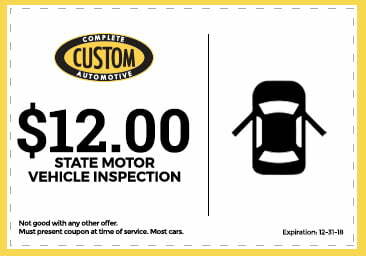 Maintain your car’s reliability the easy and cost-effective way by bringing it in to Custom Complete Automotive today. Our maintenance services will ensure that your car stays on the road as long as possible. You can request your free repair estimate by calling us now! We look forward to putting our over 40 years of industry experience to work for you. We accept walk-ins or appointment services.